Yes and no. Yes, because Beijing said repeatedly that its August 31, 2014 decision on Hong Kong’s current political reform cycle could not be changed in any way, shape, or form, and it wasn’t. Beijing never budged despite alternatives being presented from all across Hong Kong’s political spectrum. So much so that Beijing allowed the Hong Kong government’s electoral reform bill, based on the 8.31 decision, to go down to defeat in a Legislative Council veto rather than consider even the most moderate of revisions. But if Beijing is so adamant that nothing but 8.31 will do as the design for Hong Kong’s first Chief Executive election via universal suffrage, then how come pro-Beijing tea-table pundits find discussion of possible ways around 8.31 so irresistible? Is it just the challenge of the search that beckons … or too much time on their hands … or the knowledge that sooner or later a way out of Hong Kong’s political predicament must be found? A woman protests Beijing’s White Paper on Hong Kong at the July 1st pro-democracy march, 2014. Photo: HKFP. Common sense, they are saying, decrees that the current stalemate cannot continue indefinitely. 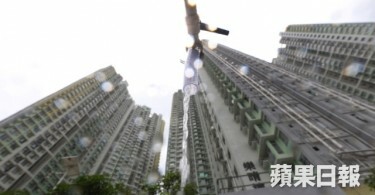 The first universal suffrage election for Hong Kong’s Chief Executive was to have been held in 2017 … if a two-thirds majority of Legislative Councilors approved Beijing’s restrictive format. The decision would then have served as the precedent for all elections to come, said Chinese officials shortly before the Legislative Council veto. But even if the existing way of Election Committee selection prevails for the coming 2017-2022 term, no one seems to be assuming stagnation beyond. Yet Beijing is evidently still thinking in terms of 8.31 as the precedent. Solutions must therefore be found. All who know and accept Beijing’s way of governing agree that political “face” … shorthand for the sovereign right to rule … is an unchallengeable absolute. That means everyone must recognize and respect the constitutional authority bestowed on the central government and the National People’s Congress Standing Committee (NPCSC) by the Basic Law. The best solution, say loyalists, would be defeat for enough pro-democracy candidates in the coming 2016 Legislative Council election to deprive them of their one-third veto-proof minority. Or they might undergo a mass conversion to Beijing’s one-true-way. But the tea-table talk is not about such uncomplicated solutions. It’s about the challenge of finding ways to accommodate both Beijing and Hong Kong’s pro-democracy partisans all at the same time. In these hypothetical scenarios, the 8.31 decision issued by the NPCSC must remain sacrosanct. But that doesn’t mean its underpinnings and inner workings cannot ever be rearranged and adjusted. Surely no responsible government would allow itself to be bound and gagged in that way for years on end. The task, therefore, is to retain the decision while working on adjustments within. A young protester at the pro-democracy ‘Black Cloth’ march on September 14, 2014. Photo: HKFP. The demands of Hong Kong’s younger generation for changes in Article 45 of the Basic Law to permit public nomination need not be summarily dismissed in these scenarios. The demands may not be welcome in Beijing. 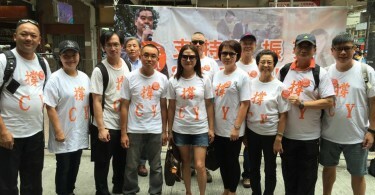 But they add a useful dimension to the campaign for democratic elections here that the Hong Kong public needs to consider before it can make an informed decision one way or the other. Unlike college students who have been the chief drivers of the campaign for public nomination, the general public is not so well schooled in the various institutional details that can make an election more or less democratic. How candidates are nominated and who does the nominating can make all the difference between an open free-choice election and its mainland-style communist-party-managed counterpart. The Hong Kong government’s promotion campaign for 8.31 deliberately exploited public ignorance on this point by assuming that the average voter didn’t care very much about how candidates were nominated. But unlike the younger generation of democracy partisans, the old-time loyalists would not contemplate a solution without 8.31. Instead, among the variables to ponder, the Election Committee is an obvious target. Loyalists can appreciate the contradiction: Beijing is demanding unqualified deference and respect for 8.31; but 8.31 decrees use of an existing committee system that generates neither deference nor respect. According to 8.31, the nomination of Beijing-approved candidates would be endorsed by the existing Chief Executive Election Committee renamed the Nominating Committee. Yet this august body has been routinely mocked for years as a collection of sinecure positions for local pro-Beijing and pro-business elites whose primary qualification is their conservative acceptance of the status quo. Democrats actually bear a measure of responsibility for this committee because they have always essentially thrown up their hands in defeat, confounded by its complexity … too difficult to redesign, they said, which is one reason why civic nomination seemed the easier alternative. Otherwise, the main moderate suggestions for committee reform where either cosmetic or redundant. Like adding District Councilors to the 1,200-member committee. This would only reinforce its loyalist-conservative bias since loyalists and conservatives now hold majorities on all 18 District Councils. Charles Mok Nai-kwong. Photo: Wikicommons. Charles Mok Nai-kwong represents the Information Technology sector, one of the Functional Constituencies that help create the committee. He is one of the few “small sector” democrats representing these constituencies but all of those few would be happy to see a systemic overhaul. So perhaps Mok could organize his IT constituents to provide some computer-generated models of broad-based representation. These should be able to simulate more democratic alternatives that Beijing and the Hong Kong public could use for reference and creative application. 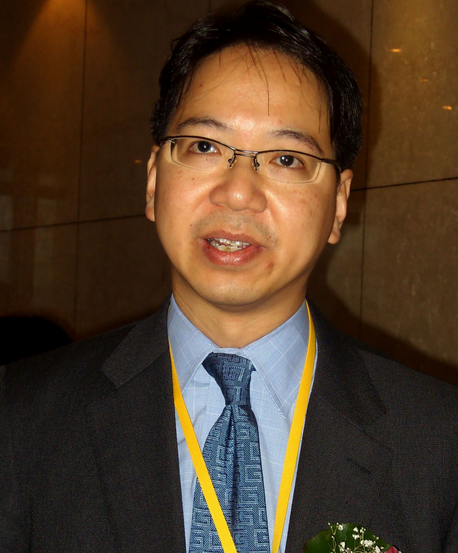 Charles Mok has generally aligned himself with the moderate wing of the pro-democracy camp. But they are now faced with some hardline choices emanating on an almost daily basis from official sources. The moderates are being challenged to break with their “radical” colleagues, publically profess adherence to the Basic Law, and redefine their core values to disavow international norms in deference to Hong Kong’s special characteristics. Bitter medicine indeed, and not likely to be swallowed any time soon. Much better to drink tea with the old-timers and undertake the tedious task of designing some plausible solutions. Is Beijing's decision on democracy in Hong Kong written in stone?